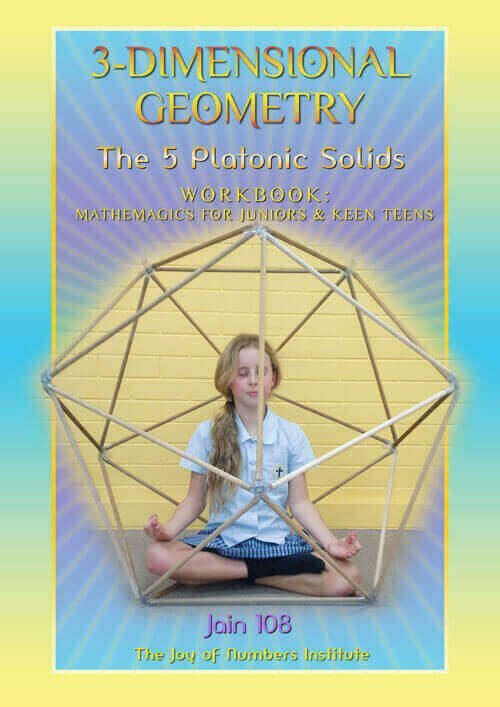 • This book, the first of a 6 Book Series, is designed to enhance the present mathematical curriculum, and in some cases, replace tedious or out-moded procedures, bringing joy into this often abhorred subject. • This book is a complete collection of “The Casting Off Of Nines” aka “The Continued Subtraction By 9” aka “Digital Compression” aka “Digital Roots” aka “Digit Sums”. A numerical example is, to multiply 33 by 11. We add the digits of 33 which is 3 + 3 which is 6 and insert this between the two threes, giving the instantaneous answer of 363. Thus, 25 x 11 = 2 (2 + 5) 5 = 275. Its that easy. 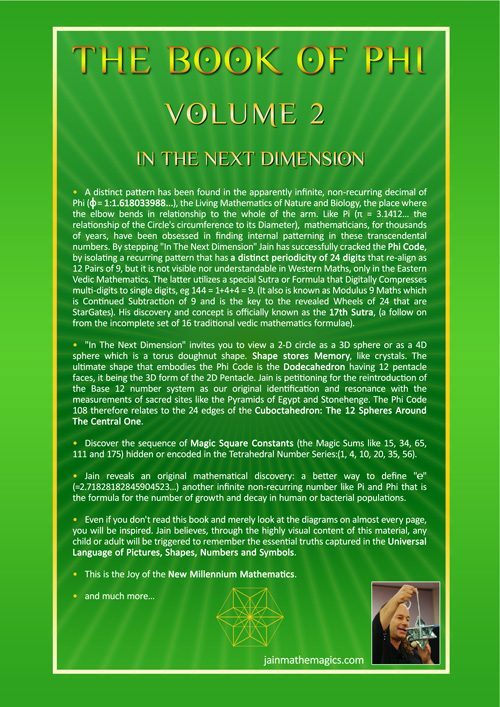 • Digital Compression is the Key to Stargate Maths, it reveals all the hidden codes! eg When you compress or squeeze down the infinitely additive Fibonacci Sequence 1-1-2-3-5-8-13-21-34 etc it reveals a secret Infinitely Repeating 24 Pattern that sums to 108, the holy Vedic Number sri 108. 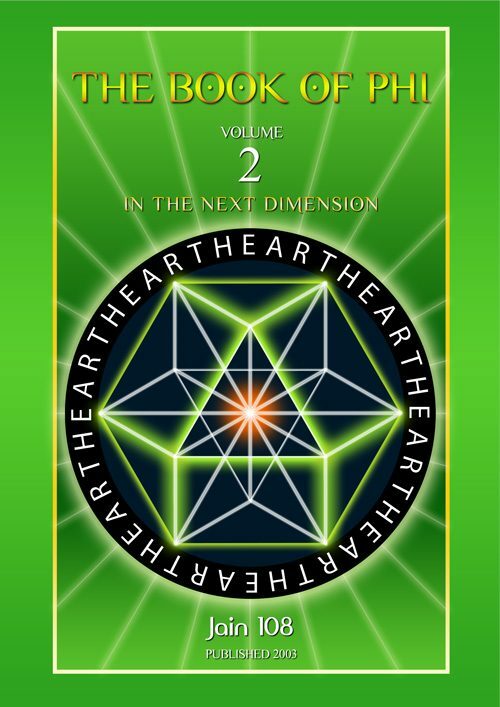 • Discover how the Vedic Square, via Digital Sums, reveals Atomic Structures! 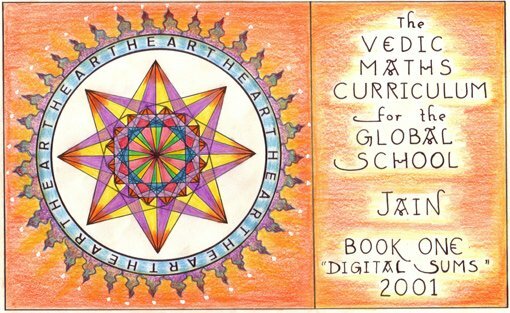 JAIN MATHEMAGICS CURRICULUM FOR THE GLOBAL SCHOOL.This book contains 152 photocopied pages, is hand-written, highly illustrated, the book is a golden rectangle but fitted or orientated to A4 landscape , and wire bound. eg: if a computer has too much data and it needs to be stored economically or sent efficiently, it can be solved by digital compression.A numerical example is, to multiply 33 by 11. 25 x 11 = 2 (2 + 5) 5 = 275. Its that easy.There is a whole chapter on Multiplication by 11 and set out with questions and answers in the back. This is the essence of Jain Mathematics, that it can be done mentally, via pattern recognition, or it can be done by one single line of intelligent arithmetic.Chapter 1 is about “How Do I Start Teaching My Child The First Principles Of Vedic Mathematics?”In Chapter 3 there is an in-depth study of Universal Number Series like the Triangular Numbers and Pascal’s Triangle which was really Halayudha’s Triangle (a Vedic Jaina Mathematician from the C3rd BC). 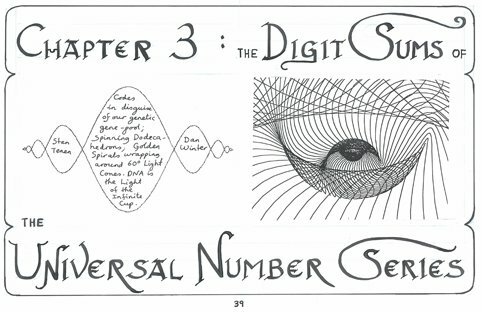 Of great interest is the Digital Compression of the Divine Proportion based on the Fibonacci Series: 0, 1, 1, 2, 3, 5, 8, 13, 21, 34, 55, 89, 144 etc and reducing them to single digits to discover eternal and internal patterning dealt with in full in: “The Book Of Phi” Volumes 1 and 2. This is a great workbook for children 12 years and older. It will vastly improve the student’s memory skills, increase their mental agility and boost self-confidence. 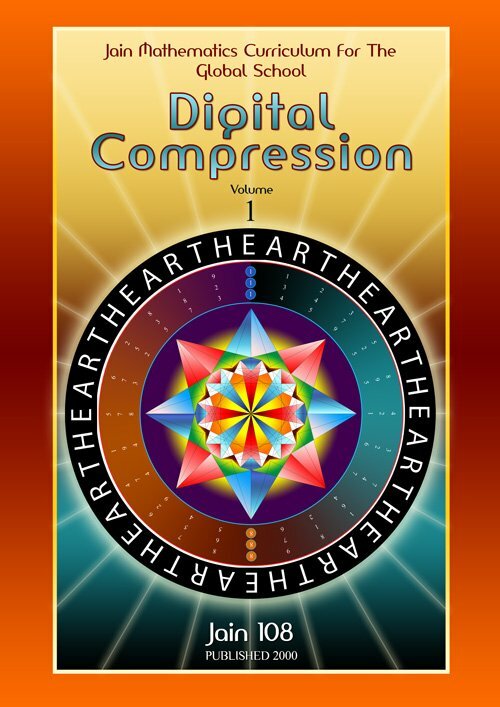 Vol 1: “DIGITAL SUMS” (its former name, now replaced by “DIGITAL COMPRESSION” was published in 2001. There is no other book like this, its the first of its kind. The application of Digital Compression linked to Jain’s extraordinary ability and insight to Translate Number Into ART, has been coined the 17th Sutra. 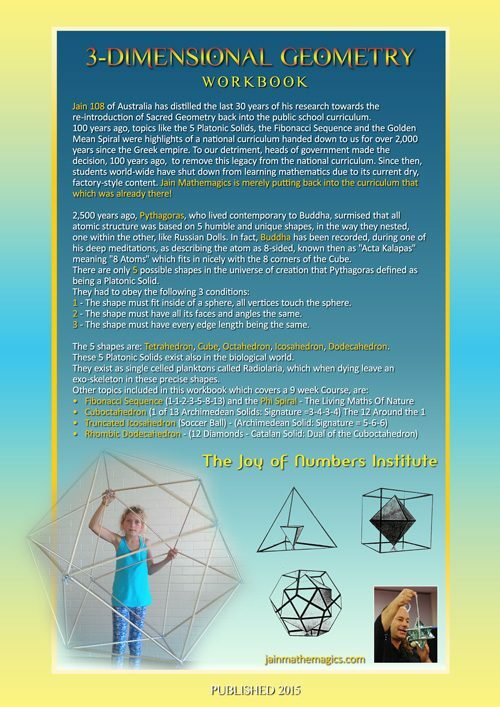 Jain plans to publish another whole compendium on this topic, accompanied by 2 dvds, just on this topic, called “THE ART OF NUMBER”. Vol 2: RAPID MENTAL CALCULATION – MULTIPLICATION was published in 2005. It deals with many aspects of Multiplication and it is currently very popular and used in my workshops with children and adults. The sutras or formulae taught are smart, simple and brilliant. Vol 3: MULTIPLICATION @ THE SPEED OF THOUGHT will also be more on Multiplication, (was meant to be published in 2007, after Book 2, but was only published now in 2011 due to a sudden demand from locally tutored students in the Byron Bay shire of far North NSW who wanted immediate workbooks for their studies after school, inspired Jain to make two sets of workbooks which constituted Vol 4, also published in 2011). 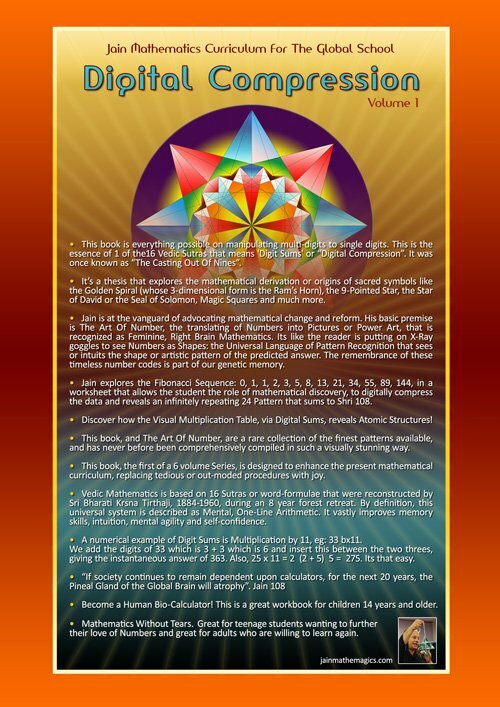 Vol 4: MAGIC OF NINE is a treasure trove of rare knowledge based on the ubiquitous Number 9 that underpins the fabric of all creation. A fascinating collection of references old and new. Vol 5: RAPID MENTAL CALCULATION FOR TEENS AND ADULTS WORKBOOK: LEVEL ONE: was published in 2001. This is a summary of all the previous material but targetted for Teenagers. Lots of space inside the book for working out the One-Line Answers. Level 1 is Introductory for teens from 13 to 16 years old. Vol 6: RAPID MENTAL CALCULATION FOR TEENS AND ADULTS WORKBOOK: LEVEL TWO: was published in 2001.This is a summary of all the previous material but targetted for Teenagers. Lots of space inside the book for working out the One-Line Answers. Level 2 carries on from where Level 1 finished and is more advanced for teens from 16 to 18 years old. 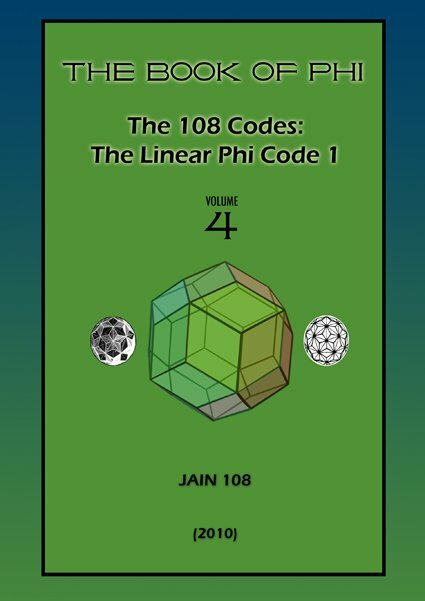 • Jain is at the vanguard of advocating mathematical change and reform. The presentation of these timeless number codes, expressed as “Digit Sums” are part of our genetic memory. 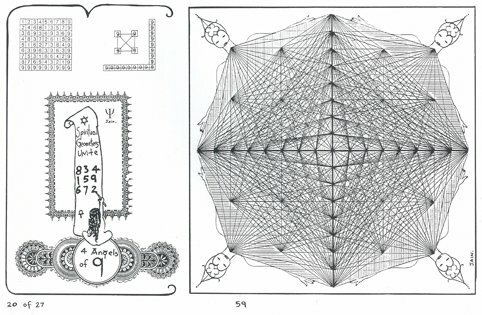 It is the Right Brain or Feminine Hemisphere Mathematics that sees or intuits the shape or artistic pattern of the predicted answer. 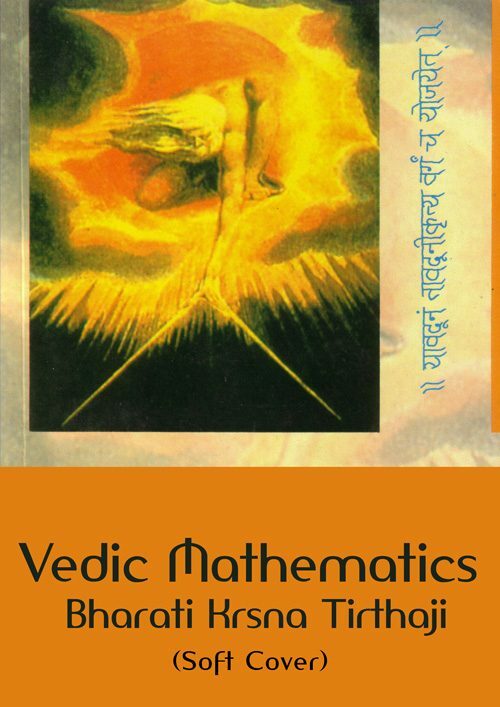 • In this dance of numbers, the dancer will feel inter-connected with all branches of knowledge and thus also become a recipient to Higher Knowledge. In this way, the Parent can effectively teach their Child (7 years and onward) the pure first principles of Vedic Mathematics. 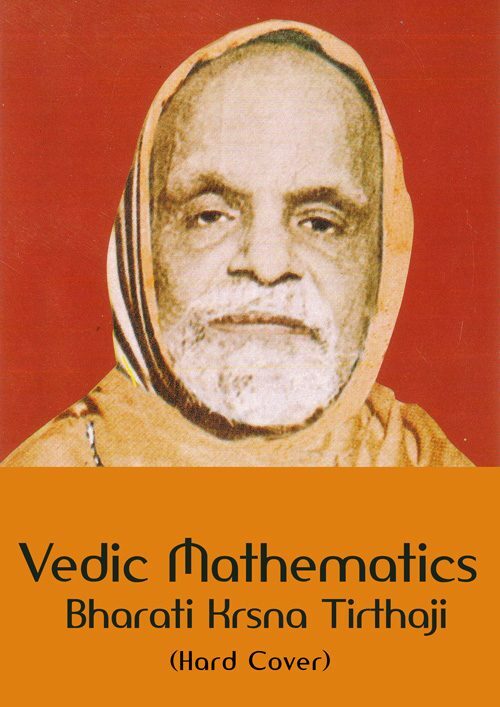 • Vedic Mathematics is based on 16 Sutras or word-formulae that were reconstructed by Sri Bharati Krsna Tirthaji, 1884-1960, during an 8 year forest retreat. • By definition, this universal system is described as Mental, One-Line Arithmetic. It vastly improves memory skills, intuition, mental agility and self-confidence. 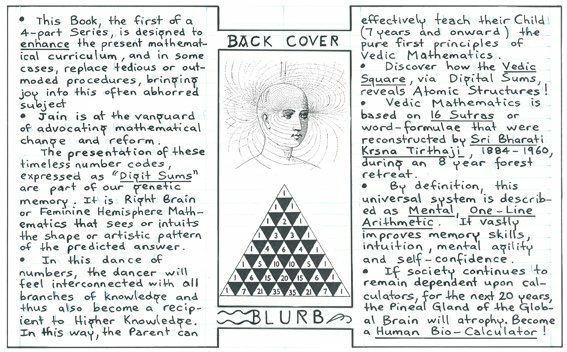 • If society continues to remain dependent upon calculators, for the next 20 years, the Pineal Gland of the Global Brain will atrophy. • Become a Human Bio-Calculator! • It is time to end the suffering from a historical Mathematical Amnesia! 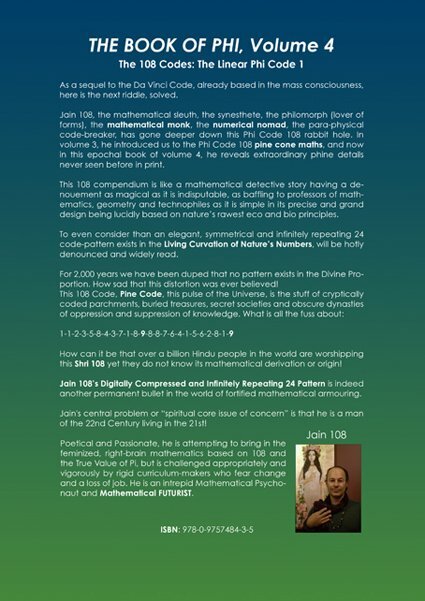 Learn the real truth about subjects in mathematics that have been suppressed. 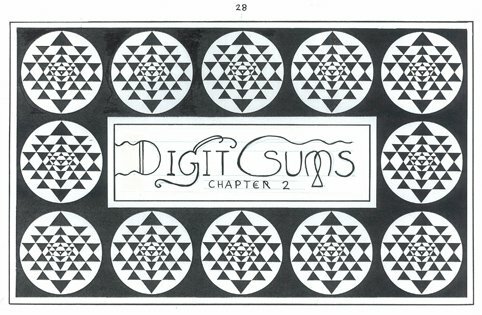 Chapter title, showing the tiling of the Indian Shri Yantra or Shri Chakra that has 9 interlacing triangles, but really they are meant to be view as 9 interpenetrating pyramids. 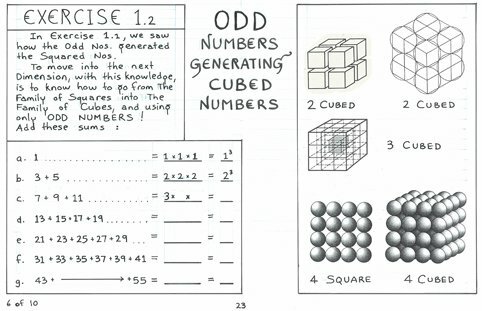 The Odd Numbers generating the Cubic Numbers. This represents Mathematics as the supreme Language of Pattern Recognition. Chapter 3 is my favourite section of this book, as it contains the cream of the best possible sequences known to us. It has been my passion to put this book together, and I believe I am the first person ever to publish such a book like this specifically on the Digital Sums of the most important sequences. 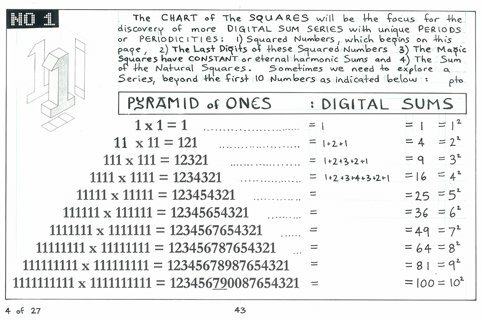 The Pyramid Of Ones, digitally compressed reveals the Sequence of Squared Numbers! This is the Language of Shape. 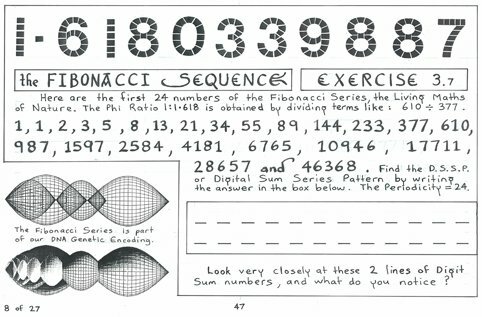 This is a worksheet that reveals the 24 Repeating Pattern hidden in the Fibonacci Sequence whose total sum is 108. This is the first ever published worksheet that invites a student to discover this pattern for themselves, via the supreme art of digital compression. 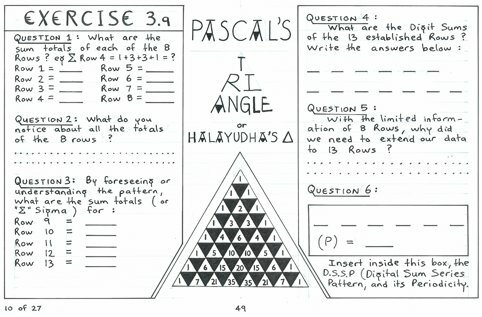 Pascal’s Triangle is a Mathematical Gem, worth researching and learning about. 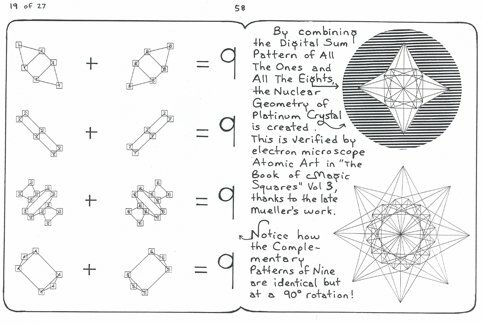 The Multiplication Table, that we all know, when digitally compressed, reveals the secret of Atomic Art. 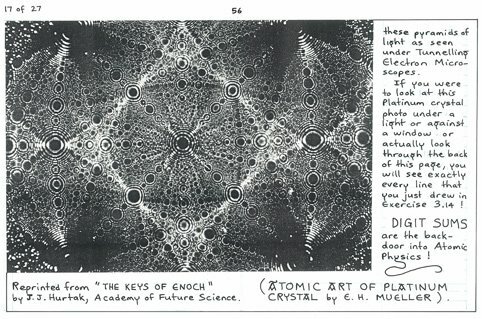 This photo of Platinum Crystal, was the first photo of the atom ever taken in the 1950s (courtesy of the Future Science Foundation headed by JJ Hurtak and Desiree; see their classic book “The Keys Of Enoch”). All The Pairs Of 9 that exist in the Multiplication Table are exotic patterns that have existed for millennia. For this reason, this amazing body of work belongs to no culture, is not Vedic, but Universal. This is the all the Number 9s interlinked or joined in the Visual Multiplication Table. It is one pattern that I have hand-drawn 4 times to create this Illusion of Perspective.